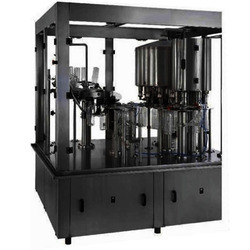 We have established ourselves as a renowned manufacturer, supplier and exporter of superior quality Mineral Water Filling Machine. 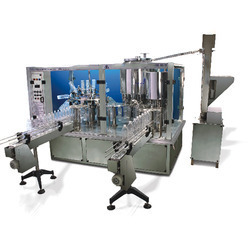 The machines offered by us includes Mineral Water Filling Machine 24 BPM, Mineral Water Filling Machine, Mineral Water Filling Machine 60 BPM and many more. We manufacture these machines using superior quality raw material, which is sourced from the reliable vendors of the market. Our offered machines are known for their high performance, durability and low maintenance. 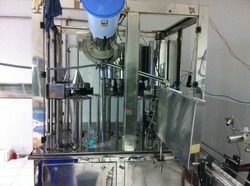 We are offering 60 bpm Automatic Rinsing Filling Capping Machine¿¿to our clients. We Are manufacturers and exporters of Auto Rinsing Filling Capping Machine. 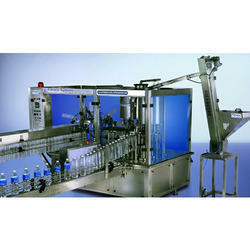 With the help of our expert professionals, we have been able to offer superior quality Mineral Water Filling Machines. The machines offered by us are manufactured as per the international standards and norms utilizing quality assured raw material and advanced technology. Moreover, we offer these machines in various specifications to meet the diverse requirements of different industries. Our organization is one of the recognized names engaged in offering 24 BPM Mineral Water Filling Machine. These machines are manufactured using quality assured parts and components that are sourced from the reliable vendors of the market. Moreover, the offered machines are tested on various parameters so as to ensure their adherence with quality standards and norms. 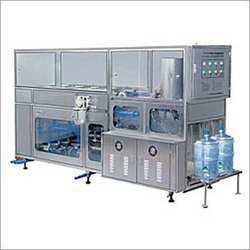 We have gained expertise in manufacturing, supplying and exporting superior quality 60 BPM Mineral Water Filling Machine. The optimum quality raw material is sourced from the authentic vendors of the market using quality assured raw material and advanced production techniques. Moreover, the machines offered by us are checked on various parameters so as to ensure their high efficiency.